It’s an important question to know the answer to. The Sportster has been in production since 1957 and to this day comes in a wide variety of models and variations. The Sportster model you have could be Low, 883R, SuperLow, Iron, Nightster, Custom, Standard, Roadster, or more. While 80% of parts are interchangeable, getting the wrong Sportster parts for the others can result in different lengths at suspension and at the forks, the wrong tires, and more. My guess was it was an ’05 Standard model. It’s all in the VIN # located on the motorcycle’s frame. 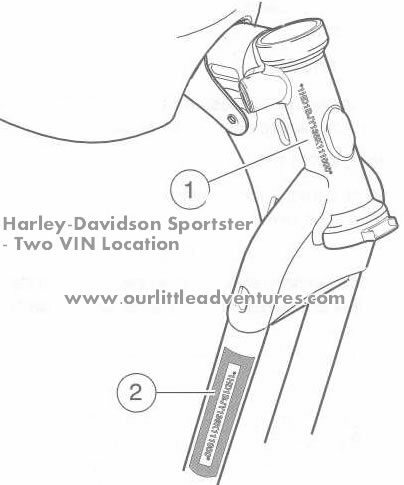 Where is the VIN # on a Harley-Davidson Sportster? Up close your VIN # should look like this. The letters below (4) (the 5th and 6th characters in your VIN number, beginning with the letter C) represent what model of Sportster you have. 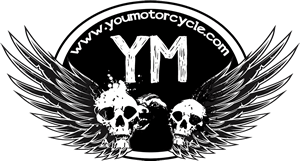 Soon we’ll have a list of how to decode your entire Sportster’s motorcycle VIN# to discover where it was intended for sale, what size it came stock, when it was introduced, and more. Call your local Harley-Davidson dealership, Justin. Let me know what they say. What year is your Harley? It is 2001, they said it is a regular XL, nothin’ special. Although it is special to me! First bike, gift from wife! We just made up a new classic quote. Yeah mine is CAH. So what about .ca I want to know to. CA is XLH. What year is it, Billy? I just added a bunch of new models to this. Haven’t had a chance. Please give your local Harley-Davidson dealership a call. CA is XLH. Looks like a little Hugger. Could you let us know what the year is please? Thanks! Have you tried calling up a Harley-Davidson dealership to see if they can look up the VIN# for you? They may have a database lookup function. Hey Alan, have you tried calling a Harley dealership? Ya I called them , the kid on the phone had no clue about anything . really makes me angry that they actually hire these kids that know nothing about the bikes unless they can read it on the computer screen . I think its a poor representation of the Harley Davidson company ! Hey Alan, it’s a Deluxe model. See updated list above. I called up the local dealer. I have 1HD1 CAP. It’s a regular base 2002 Sportster 1200. I do find it odd that my engine isn’t plain aluminum. It’s black with the edges of the fins bare. Are you concerned it may not be the stock engine? Hey Harvey, what is the full VIN#? That would be an XLH. Vin should be on the right down tube of the frame. Might start with 1HD or 5HD depending on where you’re located. What do you think. My vin reads 1 HD 1CG. Is it a Sportster? What is the full VIN#? 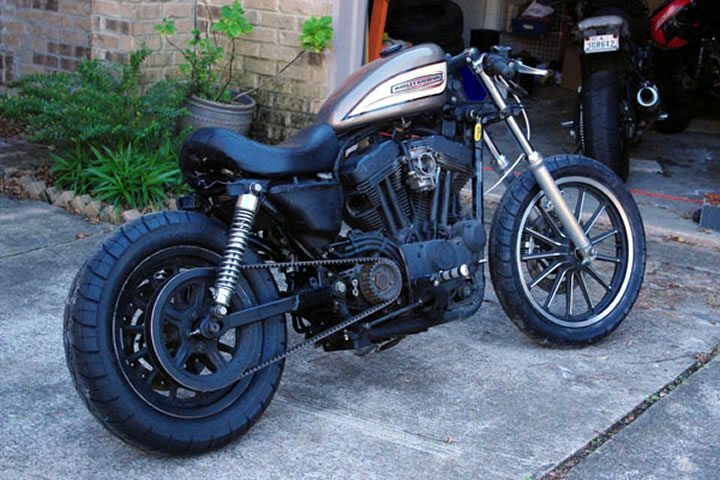 That’s a 2006 SPORTSTER 883 CUSTOM (XL883C). Your telltale sign is the 21″ spoked front tire which only ever came on the C model. What about older bikes? I have a 1978 and would like info on it… my vin begins with 3A… 3A29169H8… any ideas? Have you tried calling a dealership? Hey Dwight. What does it say on your ownership/registration? What’s CLM mean ?? Thanks. Hey Will, the 1200 custom would have been a XL1200C. They were always quite low. The XL1200 would have been taller. Might want to get taller rear shocks too. I am just about to but a whole lot of Harley parts. One of the bare frames has “CW423A” where the VIN is usually located. This is a new one on me. Anyone any ideas??? See the pictures. They’re all there. Pictures? Sorry, am I being thick??? Right in this article you’re commenting on, it says “Where is the VIN # on a Harley-Davidson Sportster?” Under that is a diagram of a Sportster frame. Both potential VIN locations are numbered in the diagram. It’s always in one of those two places. Right, I’m with you. The “CW423A” is located in position number 1. I am having a hard time trying to identify the actual model as it doesn’t follow the ruling for a usual VIN. I have only had experience with the 17 character numbers ( I am not an expert ). I sort of assume that it is an XL1200L but that is as far as I have got. Cheers for your time. Hi, I bought an xtra sportster engine, having a hard time finding out when its made. Can you assist me? It should be an hugger model.